Studying the leaves that hang from a tree's branches is the easiest way to identify the tree. Trees such as the American elm, Eastern redbud, ginkgo and balsam poplar all have simple leaves. This means their leaves have a singular, basic shape, such as a heart, triangle or oval. Simple leaves are easy to identify. A simple leaf is a basic shape, such as this oval. Simple leaves grow on deciduous trees and shrubs. Deciduous trees are defined as those with broad, flat leaves that fall off the branches every autumn. The other type of tree, coniferous, has evergreen needles that remain on the branches year-round and produce seeds in cones. But not every deciduous tree has simple leaves. If a leaf comes from a deciduous tree, it can be one of three types: simple, lobed or compound. Simple leaves are the easiest to identify. They have an oval, round, heart or triangular shape. Some simple leaves have indentations on the outside edge. These are called lobed leaves. Examples of simple lobed leaves are maples and oaks. Once the leaf type has been determined to be simple, next notice the pattern in which the leaves are arranged on the twig. If they are attached directly across from each other, they are called simple opposite leaves. Leaves that are attached in an alternating pattern are called simple alternate leaves. 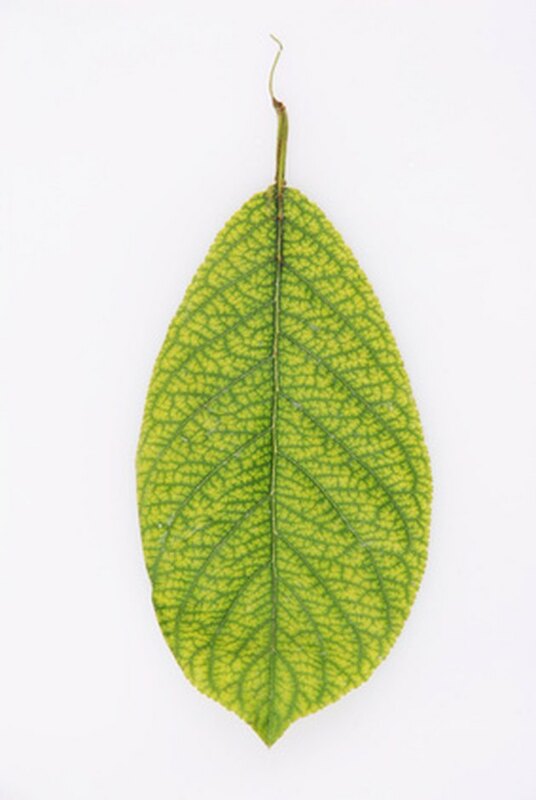 You can further identify a simple leaf by classifying its size as small or large. Measurement is usually taken from the base of the leaf, where it attaches to the petiole, to its point or tip. The European buckthorn, for example, has a leaf from 1 to 3 inches long. This is considered a small simple leaf. The Northern catalpa, on the other hand, has a leaf that can be 12 inches long, which is considered very large. After all these questions have been answered, the leaf and tree can be easily identified using a field guide or tree key. Compare the characteristics of the leaf in question to pictures and descriptions in the field guide or key. When a match is made, the leaf has been identified.